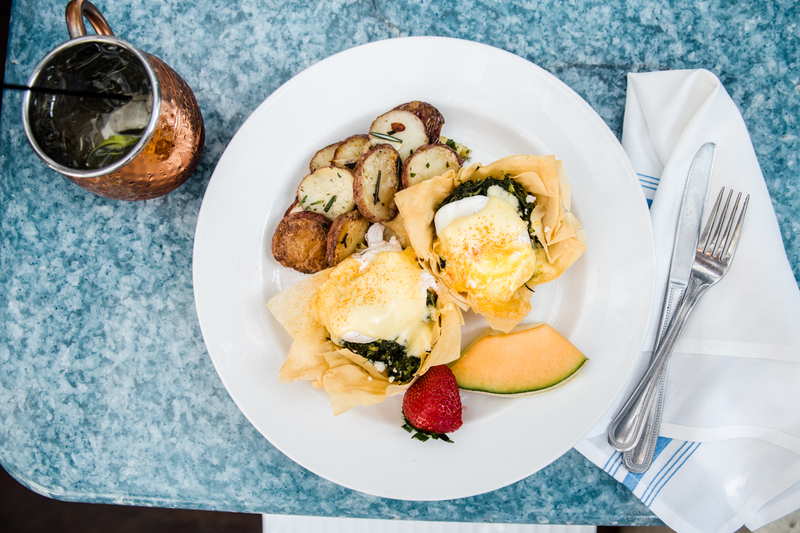 Taverna Agora, a Greek restaurant in the heart of Raleigh, is launching a new brunch menu on September 9th! 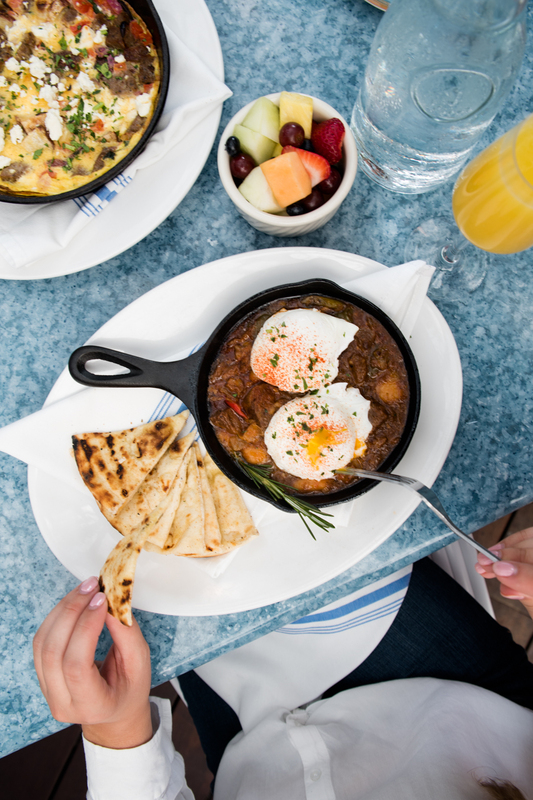 I had the good fortune of previewing four dishes from the new menu last week, and it has me convinced that I need to schedule multiple visits to Taverna Agora for upcoming brunches sooner rather than later. 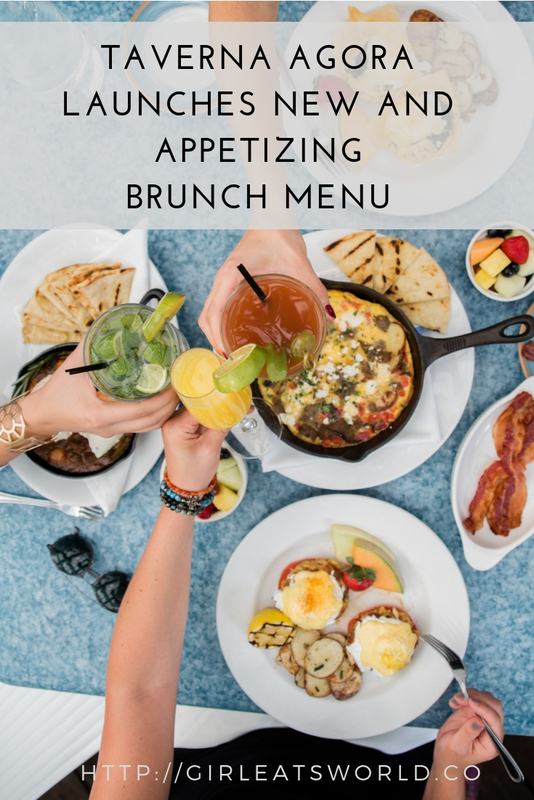 I want to highlight the menu items I tasted and also tell you more about the rest of the new brunch additions! First up was the Gyro Frittata. 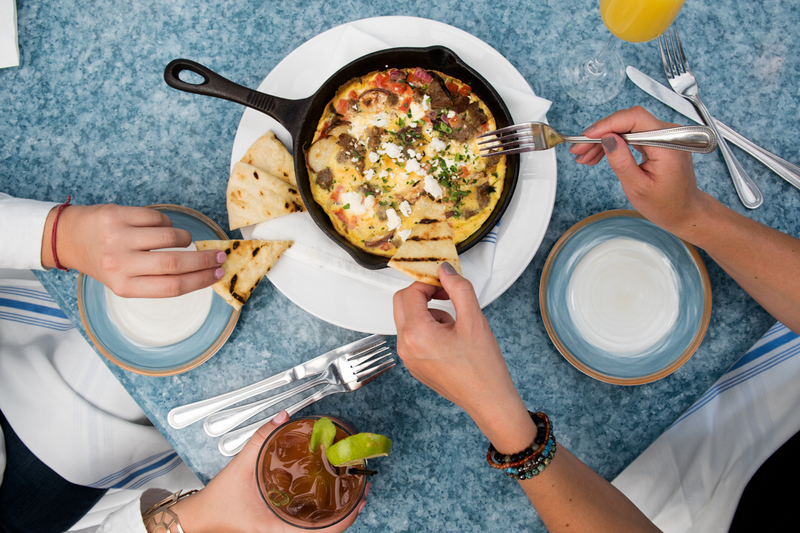 It was such a creative Greek spin on the classic brunch favorite, the frittata. I love gyro meat and never would have thought to include it in a frittata with some of the traditional gyro fixings, like fresh feta and tomato relish! Just scoop some of the gyro frittata on a warm pita bread slice for a good time. Next up is the Crab Cake Benedict. Crab cake can be such a tricky item to master. If you get the breadcrumb to crab ratio off, it can feel like a lackluster dish. And I’m happy to report that these crab cakes are the opposite of lackluster. If I had to pick a favorite from the four dishes I tried, I’d go with the Short Rib Breakfast Skillet. It’s such a comforting and hearty dish. I’ve never had gigantes beans but they remind me of big butter beans. The braised short ribs were so tender I almost wanted to melt into a puddle of pleasure simply by just pulling on the meat with my fork. Lastly, the fanciful Spanakopita Benedict embodied delicious playfulness. I love the ode to the Greek classic spanakopita with the phyllo cup filled with spinach, feta, and onions. 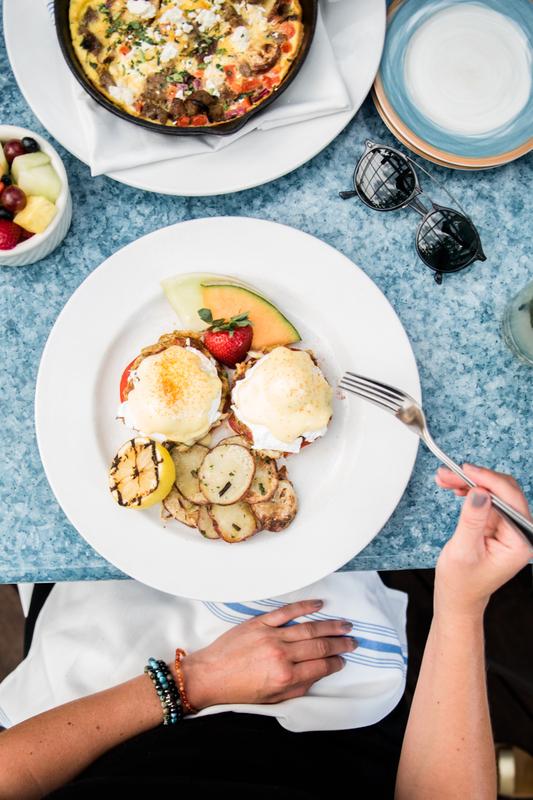 The poached eggs and hollandaise sauce on top of these cups are what the kids call #brunchvibes. 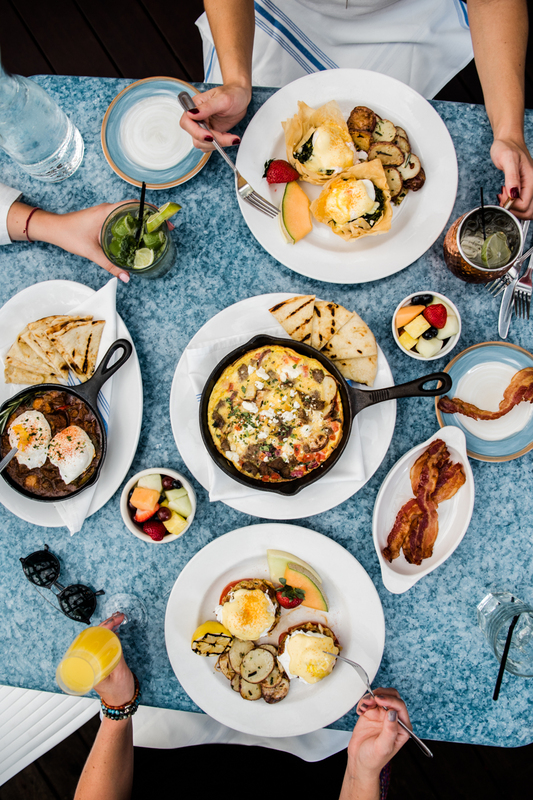 And if these four entrées didn’t motivate you to schedule a brunch outing with your friends and family at Taverna Agora, which, by the way, seems impossible to me, then check out some of their other new brunch items! There are Loukoumades, which can be described as Greek donuts. These Loukoumades come drizzled with baklava syrup and are topped with cinnamon, powdered sugar, and chopped walnuts. Loukomades also comes with an order of the Taverna Greek Yogurt, which is creamy Greek yogurt topped with granola and seasonal fruit compote. You can also order a Gyro Omelet, which is an omelet that is filled with gyro meat, onions, tomatoes, and feta. It’s served with Tarverna breakfast potatoes. For those who love sweet brunch dishes, Taverna Agora’s take on French Toast Bread Pudding consists of baked challah bread, limoncello, local honey, and golden raises. Finally, you can really conjure up Greek vibes with the Breakfast Gyro Pita, which comes with a side of Taverna fries. I’ve had some of my American friends comment on my eating gyros with fries as an American adaptation, but I was tickled to visit Greece a few years ago and see fries as a classic gyro pairing. This new menu is being introduced on September 9th, and they are having a Brunch Rooftop Party on September 16 with a DJ! Question: So tell me, friends. Which of these entrées strikes your fancy?